We were so excited to attend our first wedding expo and couldn’t have asked for a better primer! The 3rd annual POD Studio Wedding and Event Expo benefited the North Country Cultural Center for the Arts, which offers classes, workshops and exhibits all year long! The NCCCA just opened their pottery studio, bringing yet another great place for learning to it’s downtown Plattsburgh location. 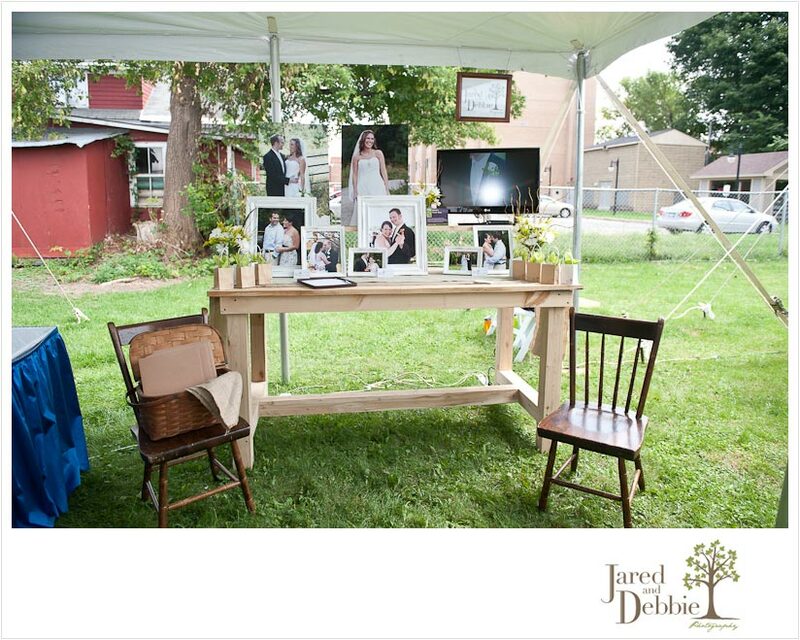 Being our first expo, we knew we had to do it 110% Jared and Debbie style. With just a few weeks to pull it all together, we quickly pulled together a vision and started gathering and creating the pieces. Which meant heading back to Clayton and picking up all of our wedding tables and decor. Jared, being the super husband that he is, drove the 3 hours to Clayton, packed up the truck and trailer, grabbed a quick lunch with his parents and turned around and drove back home, all before 6pm! The creating came into play with our picture frames. We, of course, had a very specific vision for what we wanted and couldn’t find it in stores. So, like most things, we decided to just make it ourselves!! We enlisted the help of my dad and bought moulding from Lowes, cut it down to size, and then assembled, stained, painted and sanded them to perfectly imperfect. Again, all credit goes to Jared and my dad for that!! They turned out beautifully and we received many compliments on them!! The other vision we had was mixing in some flowers to give our table a complete look. We set out Friday afternoon (yes, the day before the expo) and made our way over to Nelson’s Flower Shop. With our mason jars in hand (from the centerpieces and tables at our wedding), we were greeted by Carrieanne, the Event Specialist and floral designer. After quickly explaining the feel we were going for, Carrieanne whipped us up three perfect arrangements and even offered to transport them to the expo for us!! Talk about service!! We were (and still are) thrilled with how they turned out!! Thanks again, Carrieanne! And here it as, all put together! Going into the Expo, we really didn’t know what to expect. We were surrounded by such wonderful vendors and professionals and it was so great to have so many people willing to work together for a common goal. I swear, small business owners just get it! At the end of the day, we can all help each other succeed! Paul’s Cake Studio, based in Saranac Lake, fixed the sweet tooth of all the brides to be by offering free tasting of two delicious cakes! I personally had a slice of the second cake and from the frosting to the fudge layer, it was melt-in-your mouth decadent! Carrieanne of Nelson’s Flower shop was showing off her winter themed floral arrangements. Love the different details with the jewels and glitter! The NCCCA had one of their instructors creating art right before our eyes! In the background is the fabulous Dena Archer of Archer Bodyworks, explaining the wonderful services her spa offers. I can’t wait to get a massage after our next full wedding day! The beautiful tent, tables and chairs were supplied by Foster’s Tents out of West Chazy. Michael LaVigne, customer potter at POD Studio was on hand, sculpting away as the expo went on. And just like that, a little collection was ready for the next phase! On of our favorite lunch spots, My Cup of Tea, was on hand with pomegranate tea and some tasty sweets. I’d really love to reach into that third picture and grab another one of those brownies!! Delicious!! Victoria and Laura were representing the table for Laura’s Bridal! Studley Printing & Publishing was on hand with an array of magazines and books displaying options for custom invitations, napkins and more! 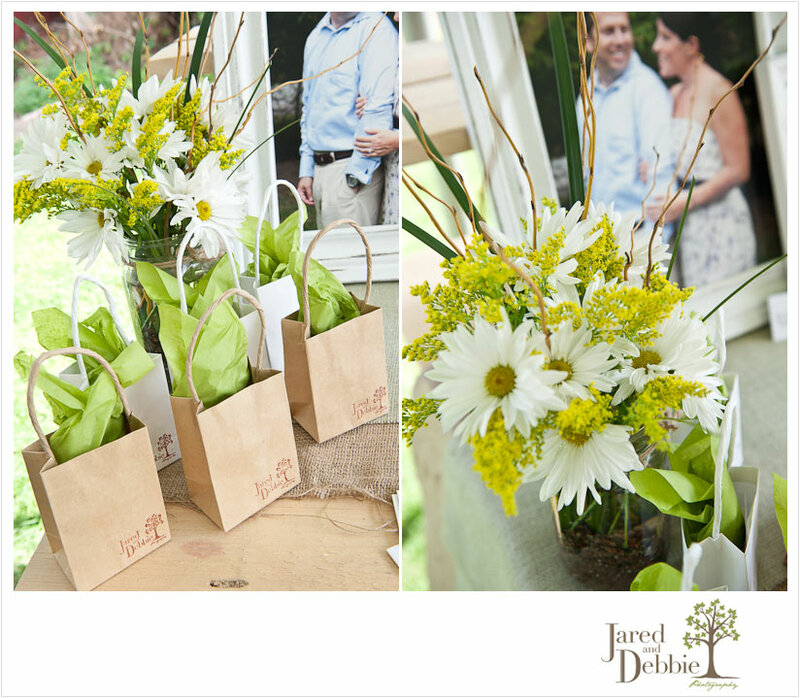 The gorgeous venue that is Valcour Conference Center was represented by Chris Whalen. A lot of brides were still searching for that perfect lakeside location for their reception and we pointed them in the direction of Valcour. A triple threat of lake, views and history make it one of the best places to host your wedding or reception or both! The Best Western was touting their luxury suites as a perfect place to relax the night of the wedding! 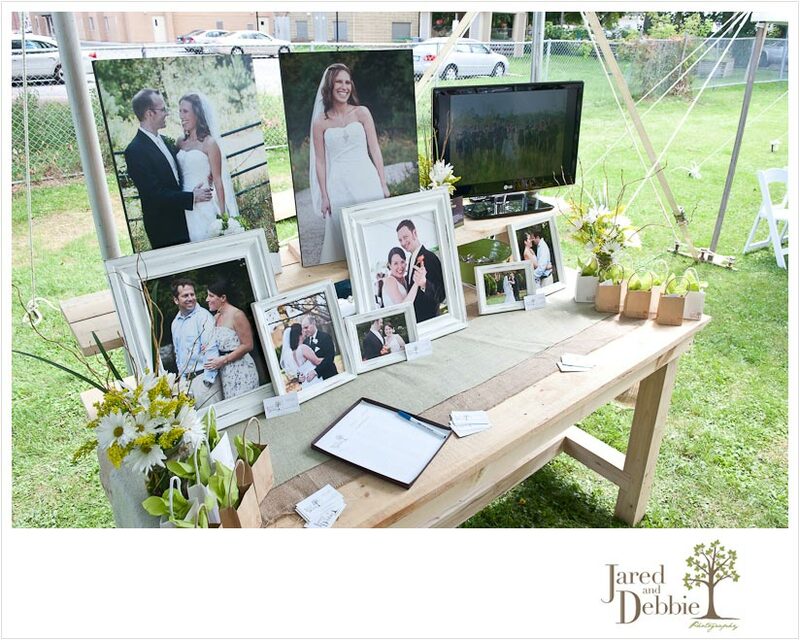 We stopped by Josh’s table at a rare moment when he wasn’t there talking to a prospective bride!! Josh Kretser is the owner and creative genious behind POD Studio and offers Event Design for brides looking to pull together a cohesive vision for their wedding and reception. Love the sleek and simple black and white! Now this next vendor had me a little perplexed until we stopped by. I never realized that AAA was a full service travel agency and even helps brides plan their perfect destination wedding or honeymoon! Sounds like fun to me! A New Leaf Flowers and Gifts just had a soft launch in Plattsburgh not too long ago and arrived with some gorgeous arrangements for all the brides to drool over. Loved the soft and sophisticated look of her table! And last but certainly not least was the adorable setup by Chantal DuBrey of Applied Perfections!! Besides being absolutely adorable herself, Chantal is a very talented makeup artist! We’re so excited for her studio to open in Plattsburgh this fall!! It’s so great meeting other young and talented entrepreneurs! All in all, Jared and I were thrilled with the turnout, pace and environment of the entire expo. It was very laid back, we actually got to talk to almost everyone who came through and the other vendors there were so kind and caring. It was truly a welcoming experience! If you saw us on Saturday, thanks for stopping by! Can’t wait for next year!